Hornet 1P Tent: 1-Person 3-Season by NEMO Equipment Inc. 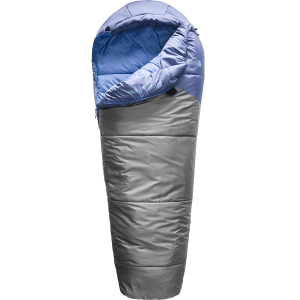 If the Hornet Elite is Nemo's ultralight shelter, then the Hornet 1P Tent is Nemo's ultra-livable tent for backpacking. It boasts 10% more internal space than the Hornet 1P Elite Tent, and although it's a little heavier, this Hornet still only weighs two pounds or less. Keeping time on your side, the DAC Featherlite NFL pole attaches in a hubbed intersection for a quick set-up and easy freestanding pitching. Nylon fabric along the tent floor and vestibule cut down on weight, but not protection or durability, while PU and silicone coatings provide waterproof protection when you encounter unexpected afternoon downpours. 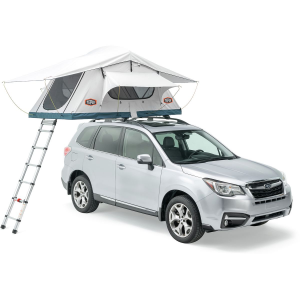 With rain fly attached, the Hornet has a vestibule over the zippered door to protect your valuables while you wait out the storm in search of sunnier, warmer skies, in which case the mesh canopy can provide sufficient ventilation, without the rain fly. Currently Viewing NEMO Equipment Inc. Hornet 1P Tent: 1-Person 3-SeasonMore by NEMO Equipment Inc.